“White Christmas” is one of America’s most beloved Christmas songs. In the not-often heard verse of the song, we hear that “the sun is shining, the grass is green, the orange and palm trees sway, there’s never been such a day in Beverly Hills, L.A. But it’s December the 24 …” And indeed, Irving Berlin was in Los Angeles when he wrote “White Christmas,” expressing that longing for a traditional back-home Christmas. Bing Crosby recorded the song in 1942 and completely dominated the music charts for weeks. 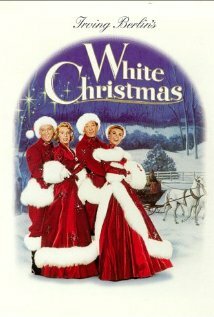 Crosby’s single of “White Christmas” is the biggest-selling single record of all time, worldwide, at over 100-million copies. “White Christmas” was recorded in June 1967 and released the next year on the album Snowfall: The Tony Bennett Christmas Album. It was arranged by Robert Farnon. “White Christmas” was recorded in May 1987 and was released that year on Bennett/Berlin. This song was arranged by Tony Bennett and features Dexter Gordon on tenor saxophone. “White Christmas” was recorded on December 21, 2000 with Vanessa Williams and was released the following year on Our Favorite Things. It was arranged by Jorge Calandrelli.